The annual Wythall Radio Club Radio Foxhunt is cancelled today, due to the snow that has fallen overnight in our area. Our apologies for this. We hope to rearrange for it to take place early next year. 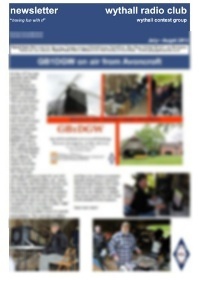 Latest Wythall RC Newsletter out now! The very latest January 2018 edition of the famous Wythall Radio Club Newsletter is now available. Just click here or on the Newsletter icon on the left of this article to access it. Featured this issue are a report on the club trip out to Martin Lynch’s Hog Roast; first impressions of 2 new DMR Radios; a first PICAXE project; a fascinating personal account of getting into the Amateur Radio Hobby; and 17-year-old Jamie’s entry in the CQ Worldwide Morse Contest. There’s more than that too, so don’t delay – download your issue free today! 8 years old & on the air! 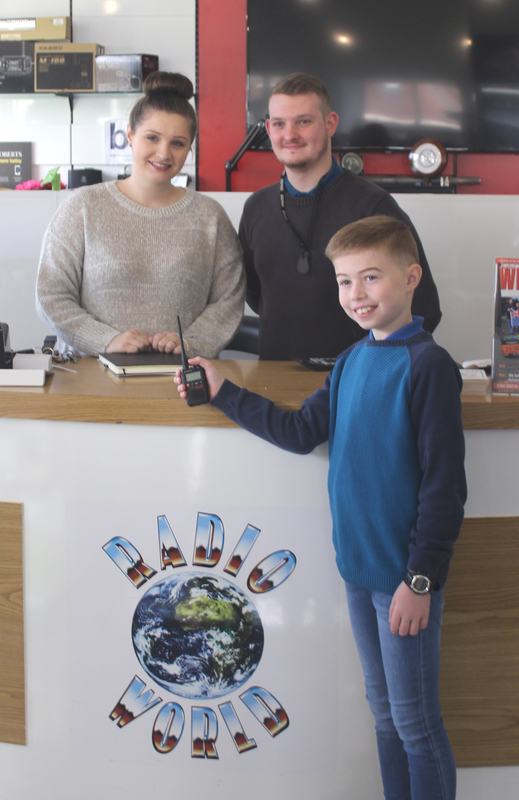 Meet Wythall Radio Club Member Harry Bacon. At the tender age of 8, Harry is currently the youngest member we have. Along with his dad, he recently passed his Foundation Exam and is now the proud holder of the shiny new callsign M6NKW. A few days ago, Harry was congratulated by our friends (and Wythall Hamfest sponsors) from Radioworld. 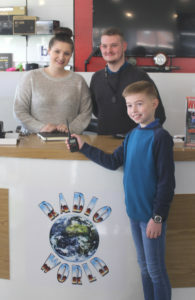 On a trip up to their shop near Cannock, a very excited young man was presented with a new dual-band Handheld transceiver. (Click the photo for a larger picture). Now Harry is looking forward to getting on the air and getting more experience before tackling the Intermediate License. He is already learning Morse Code at our club Morse class and learning it very quickly, so we hear. We at Wythall Radio Club wish him all the best. Listen out for Harry in our Club Christmas Contest from 26th December – you might even have a contact with him via our repeater GB3WL.